Merea was summoned to a place called “Sacred Mountain of Lindholm” where spirits gather upon their death. He was called upon using an Otherworldly Grass which found its way to his world. The reason for summoning him was to dispel the lingering attachment and/or regrets of a group of heroic spirits from another world. Having read some nice reviews I decided to take a shot at this novel. Unfortunately I cannot recommend it. The pacing is too slow, and a interesting premise is thrown out of the window devolving the story into a boring and tiresome cliche isekai. Every single action is stretched down with a lot of meaningless exposition and useless chatter during improper times. Too many characters and plots are thrown at us too many times, without any of them going forward. We also get some POVs about a prince trying to coup his father/king and some Povs about the villain Sirius that's chasing them. Also a POV of 3 kings that had nothing to do with the story so far. There were 90+ spirits but we barely learned about 5 of them. The rest are just extras. Same for the 21 demon lords. 7-8 are characters and the rest are extras. In the end of the first arc he gets a free pass like any common isekai to live freely like he wants with all these amazing superpowers. I mean, the premise built on the whole first arc is thrown away, and then the story just drags on too much and you get irritated by it. Nothing important happens for several chapters and we're just reading about the same characters arguing about mundane things among themselves, even right in the middle of a battle. Or the same things about how demon lords are persecuted being repeated for the 100th time. In the end the "trained by 99 heroic spirits" is just an excuse for the MC to have any 'deux ex machina power' he'll need for any situation. And the "save the demon lords" trope is just an excuse for a bunch of people to travel together and interact. And most of these people are cute girls as in any japanese novel. Also the MC is a vegetarian beta male that doesn't kill even in war scenarios. He is overpowered and naive, even after being reincanated, lived for more than 15 years and taught by so many betrayed heroes. What is an Hero? A being who saves people from tyranny, but what if those that needed saving where the demon lords. This is the story of the rise of the King of all Demon lords. after his death and begin to train for be a hero and avenge the hero spirits just to discover about the change in concept who is Demon Lord and now he will save the Demons Lord or he will go against them. A nice reincarnation story so far with a nice main character and I steady development I look forward to where this novel is going. Somehow he could tell this to be true. It transcended intuition and felt as though this information were ordained for him to just understand it. Like he had been guided to this moment in time to discover this and take part in exposing this truth for himself to better grasp the nature of it. Almost as if all of the world had stopped for him to meet this realization and recognize what needed to be done. To move forward required this understanding and it was the most substantial revelation he could have sought. It built his resolve and with this newly achieved comprehension he took his first steps to acting on this important epiphany. Then congratulations you could read this light novel without frustration. That's not an excerpt from the novel and is probably a little more rambling than you'd normally find in it but I kid you not it dedicates a paragraph like that, for something that could easily be described in two sentences, several times within a single chapter. 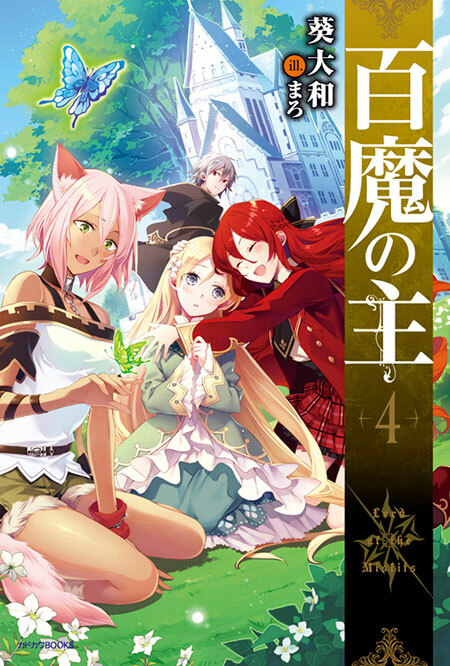 This novel has potential though it look like author has inspiration from "Faraway Paladin" with the summon as kids training and view the summoner as parent. Though may be because the author want to make his work unique or want to make his character OP without saying he got gifted power a god like in most isekai, instead of 3 like Faraway Paladin, we got 100. You can already see how this decision hinder the characterization onward. At the end of vol 1 in FP, I feel emotionally committed to... more>> the MC "parent". In this novel, it like a countdown about how much the MC learn from the other spirit and when that number hit 0, something gonna happen. Same goes for what happen after he leave the mountain. Instead of 3 or 4 companion, we got hit with around 20+ with most serve as background filler and only 2 to 4 get developed. so far it's a refreshing take on reincarnation. He knows his cause of death, and is at peace with it. I like the pace it's going at. Also, there's a dragon :') the story seems promising. Nice story and good character... the MC character isn't naive n can see the reality... it's just in the beginning story MC still have naive character. He is always struggle to save others and become nice lord for his friends. Always trying to answer his parents (heroic spirit) hope to become a great hero. For the harem.. well.. the MC isn't too dense.. he know when they get sad, anxious, and depressed from their's eye.. but he just didn't know love in their's eye.. He got two different alias, they who awe him and place hope in his shoulder call him as Shirogami. and the otherside they who fear him as Majin. From 100 technique that was inherited, just few of them that has explained. The concept of the story is really good. The author created a big setting the involves many important characters, but didn't manage to tell more about them. The author made something like 100 techniques and 21 demon lords while introducing few of them so the he can have much leeway to add his new ideas. Well, the development is very interesting. I'm at least looking forward to the future that he saw where he became a lord of demon lords. The pacing is too slow, even though not all characters are... more>> being flesh out. But it's still good to read, as I'm too curious to know more about the other demon lords since their story is much more interesting for me than the current MC and his archenemy. It's not good to read this one if you want something relaxing, since it's slow. But if you're looking for something serious to read and you can look forward to then this one is OK.